I would like to inquire about your property Bayut - 236-Ap-R-2369. Please contact me at your earliest convenience. Spacious 2 Bedroom in Standpoint Tower. next to the Opera . easy to access to swimming pool and gymnasium. AED 100,000 in 2 cheques. with its observation deck, and the dancing Dubai Fountain, where crowds gather to watch music and light shows. The sprawling Dubai Mall offers global fashion brands and casual eateries, while Emaar Boulevard has a chic cafe scene. The Dubai Opera hosts dance, opera and musicals in a striking dhow-shaped building. Landlords: List your property with us, and give us one week to lease it. Buyers: We are here to find your requested property within 48 hours. Investors: Our specialized team in Dubai areas will get you the best investment deals; we provide also financial mortgage services. 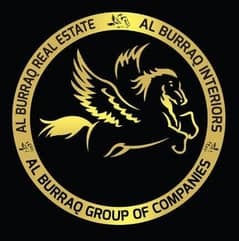 Also If You or Any of Your Friend Have any Other Requirement of Commercial or Residential Apartments/Villas for Rent or Sale in Dubai, Business Bay, Downtown, Old Town, JLT, Dubai Marina, Sports City, JVC or Anywhere in Dubai. .